Last December, Microsoft finally introduced the first Windows 10 based notebooks for ARM. The Snapdragon 835 was the protagonist of those convertibles that will be available soon, but it was never clear how far we could go with them. Does Windows 10 for ARM have the same options as our conventional Windows 10 for Intel and AMD x86 / x64 processors? The answer has come now after leaking the details of a platform that in essence allow us to do much of what we do on a desktop PC or conventional laptop, but there are some notable limitations that would make these teams inadvisable in certain scenarios. The document leaked by Paul Thurrot has allowed to discover what are the big differences of that platform that Microsoft offers as an alternative to traditional Windows 10 in microscopes x86 / AMD64 / x64. Only ARM64 drivers : although it is possible to run x86 applications, it will not be possible to use x86 drivers. It is not a problem too serious especially for peripherals and components of recent times, but it may be that some old device or component without 64-bit drivers will give us problems. 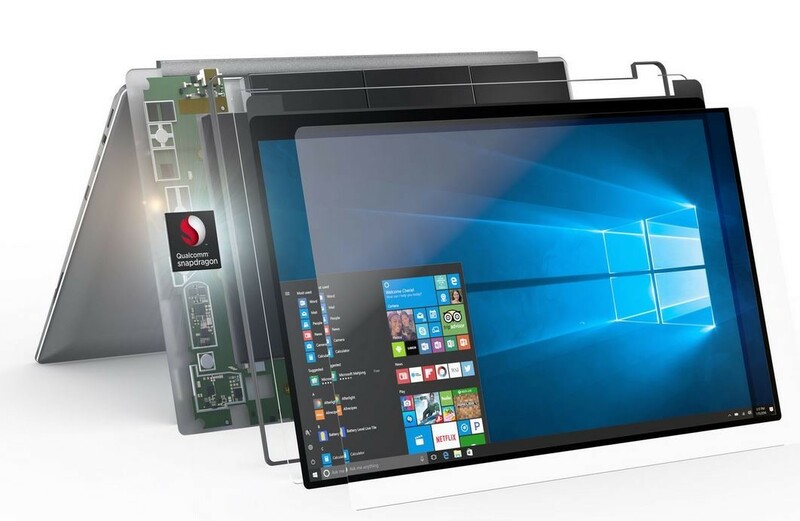 No x64 applications : Microsoft is working on that 64-bit application support to work on the emulator of this version of Windows 10 for ARM, but for now we will only have access to x86 applications (32 bits). Games and applications and OpenGL : you can only run applications and games that use OpenGL if the version used is older than 1.1 and if you do not necessarily need hardware acceleration support for those OpenGL libraries. Interestingly, games that make use of anti-cheating technologies will not work. Bad for those who personalize Windows : if you use applications that modify the input methods or assistive technologies you might have problems, since those applications will not work well in Windows 10 for ARM. Neither those that include extensions for the Windows Shell (contextual menus). In those cases, versions compiled natively for ARM are needed. Beware of native applications for Windows Phone : the applications and games developed for Windows Phone could also have operating problems in these computers and for example could be shown with an incorrect orientation or with errors in the layout of the user interface. Hyper-V is not supported : virtualization with this Microsoft technology is not supported. Even with these limitations, it is likely that most users do not encounter problems in their day to day if they decide on this type of equipment. To compensate for these deficiencies we have two great advantages, too. The first, that they will be “connected” at all times thanks to the integration of 4G / LTE connectivity. The second, that of battery autonomies that at least on paper are incredible and that could make us use these equipment for 20 hours without reloading them. Now it remains to be seen how important these disadvantages are and if those promises are fulfilled , something that we can do as soon as the first teams are on sale and we can analyze them in depth. We will be very attentive, we assure you.